Much has been written about the Cuban Missile Crisis a year later, but the Berlin Crisis of 1961 was more decisive in shaping the Cold War-and more perilous. It was in that hot summer that the Berlin Wall was constructed, which would divide the world for another twenty-eight years. Then two months later, and for the first time in history, American and Soviet fighting men and tanks stood arrayed against each other, only yards apart. One mistake, one nervous soldier, one overzealous commander-and the tripwire would be sprung for a war that could go nuclear in a heartbeat. On one side was a young, untested U.S. president still reeling from the Bay of Pigs disaster and a humiliating summit meeting that left him grasping for ways to respond. It would add up to be one of the worst first-year foreign policy performances of any modern president. On the other side, a Soviet premier hemmed in by the Chinese, East Germans, and hardliners in his own government. With an all-important Party Congress approaching, he knew Berlin meant the difference not only for the Kremlin's hold on its empire-but for his own hold on the Kremlin. Neither man really understood the other, both tried cynically to manipulate events. And so, week by week, they crept closer to the brink. 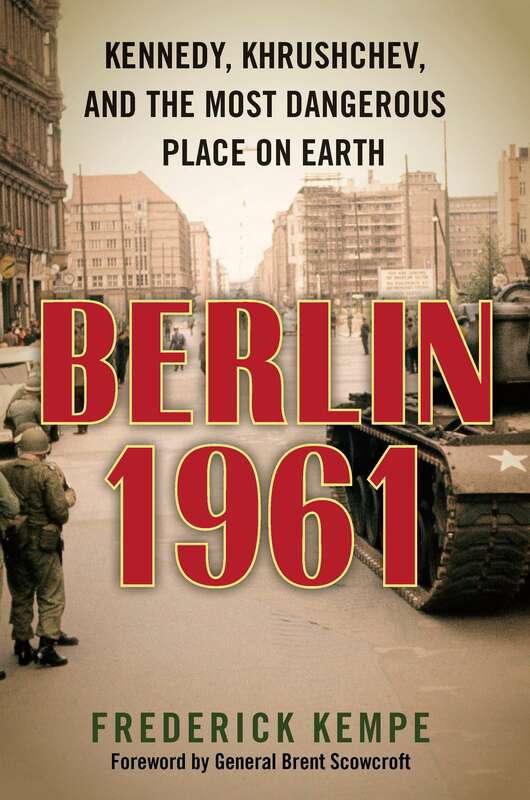 Based on a wealth of new documents and interviews, filled with fresh-sometimes startling-insights, written with immediacy and drama, Berlin 1961 is an extraordinary look at key events of the twentieth century, with powerful applications to these early years of the twenty-first.